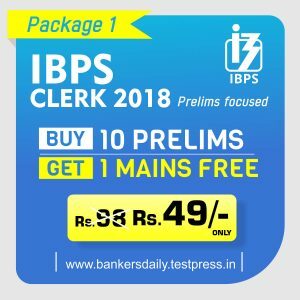 THE HINDU EDITORIAL – November 16, 2018, is one of the must-read section for the competitive exams like IBPS Clerk 2018, Indian Bank PO & LIC HFL 2018. 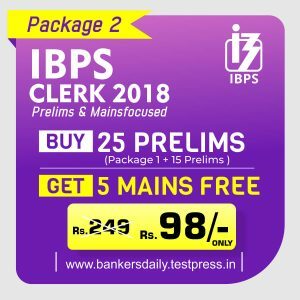 These topics are widely expected to be asked in the reading comprehension, Cloze Test or Error Detection in the forthcoming exams. So gear up your Exam preparation and learn new words daily. The Indian Space Research Organisation has marked a big milestone by successfully testing its heavy-lift launcher while launching an advanced communication satellite. It plans to use this for the Chandrayaan-II moon mission in the early months of 2019. On Wednesday the Geosynchronous Satellite Launch Vehicle MarkIII (GSLV MkIII) launched GSAT29, an advanced communications satellite, into a geosynchronous transfer orbit where the satellite’s closest approach to earth would be 190 km and the farthest 35,975 km. The launcher bearing the 3,423 kg satellite took off from a launchpad at the Satish Dhawan Space Centre at Sriharikota. Seventeen minutes later, after various stages, the vehicle injected the satellite into the transfer orbit. Taking over smoothly, ISRO’s master control facility at Hassan assumed the command and control of the satellite, and it will be manoeuvred into a geostationary orbit, its final destination, in days. Once placed, the satellite’s solar panels and antennae will unfold and work will begin. With a liftoff mass of 640 tonnes, the GSLV MkIII is the heaviest launch vehicle made in India, and GSAT29 is the heaviest satellite to take off from Indian soil. Both launcher and satellite have other characteristics that make them stand out. The launcher can carry payloads up to 4 tonnes to the geosynchronous transfer orbit and up to 10 tonnes to a low-earth orbit. The multi-band, multi-beam satellite can cater to the communication needs of people in Jammu and Kashmir and the Northeast. The first successful experimental flight of the GSLV MkIII was in 2014 when it carried a dummy crew module as a payload. This proved its capacity in the atmospheric flight regime. Its first developmental flight was on June 5, 2017, when it launched GSAT19, weighing 3,136 kg. The present launch marked the second developmental flight of the MkIII. With these two successes, the launcher is declared ‘operational’ and joins the ranks of the working vehicles, the PSLV and the GSLV. This is far fewer than the number of developmental flights the older launch vehicles were subjected to. This is because the solid and liquid propellant stages had been tested before. The third cryogenic stage could establish its performance in just two developmental flights. Of course, these were preceded by numerous experimental flights and ground-based tests. This success sets the stage for trying out variations such as other types of engines, different fuel combinations and higher launch capacity. 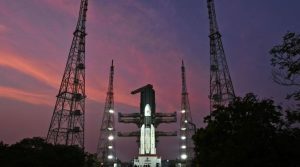 The GSLV MkIII has not just boosted the satellite into its orbit, but also restored morale at ISRO, which had been dented by the GSAT 6A setback. Russia hosted a regional conference on Afghanistan last week to nudge the reconciliation process between the Taliban and the Afghan authorities. The Taliban were represented by the political council chief, Sher Mohammad Stanikzai. Representatives from Afghanistan, China, Pakistan, Iran, Kyrgyzstan, Tajikistan, Uzbekistan, Kazakhstan, Turkmenistan, the U.S. and India were also present at the meeting, making it the first time that all stakeholders were present in the same room. Considerable political manoeuvring preceded the meeting. It was earlier planned for September, but failed to materialise. The Taliban were opposed to attending since the Afghan government insisted on co-chairing the meeting. The diplomatic solution was to have Afghanistan represented by the High Peace Council (HPC), set up and supported by the government with the specific aim of furthering peace talks, though formally not part of government. India sent two seasoned former diplomats, with the Ministry of External Affairs describing its participation as “non-official”. The U.S. was represented by its Moscow embassy officials. Aware of the differences, the Russians refrained from attempting a final statement or even a group photograph. Nevertheless, with this meeting, Russia has sent a clear signal that it is back in the game in Afghanistan. The idea of reconciliation with the Taliban has been around for over a decade. As the Taliban insurgency grew 2005 onwards, the British, deployed in Helmand, soon found merit in doing side deals with local Taliban commanders by turning a blind eye to opium production in the area. With the help of the Germans and the Norwegians, they began to persuade the U.S. to work for a political outcome. After being elected in 2008, President Barack Obama ordered a full-scale review of the U.S.’s Afghanistan policy. After extracting an assurance from the generals that the insurgency would be defeated in 18 months, Mr. Obama announced a shift to counter-insurgency mode with a surge of over 40,000 troops, but added that phased drawdown of troops would begin in end-2011. Operation Enduring Freedom formally ended in December 2014, handing over primary responsibility for combat operations to the Afghan security forces even as the insurgency gained ground. The U.S. soon realised that it had run out of options. Insurgency could not be contained as long as sanctuaries existed in Pakistan and the carrot and stick policy with Pakistan had cost the U.S. $33 billion but failed to change Pakistan’s policy. A total cut-off was not possible as long as U.S. troops in Afghanistan depended on supply lines through Pakistan. In 12 years, the U.S. had lost 2,300 soldiers and spent $105 billion in rebuilding Afghanistan, more than $103 billion (in inflation-adjusted terms) spent under the Marshall Plan on rebuilding West Europe after World War II. War weariness demanded an exit and a political solution was unavoidable. After prolonged negotiations, a Taliban office opened in Doha in June 2013 to promote talks and a peace process. However, when the office started flying the Taliban flag, calling itself the political bureau of the Islamic Emirate of Afghanistan, it angered both the U.S. and Afghan governments. The office was closed down though the Qatar authorities continue to host Taliban leaders. Coming to power in 2014 after a bitterly contested election, Afghan President Ashraf Ghani moved to improve relations with Pakistan, even calling on then Army Chief, Gen. Raheel Sharif, at the GHQ, to push for reconciliation. Preliminary talks were held in Murree but derailed in July 2015 when Mr. Ghani asked for a supportive audio/video (instead of a written statement) by Taliban leader Mullah Omar and learnt that he had died over two years earlier. An internal power struggle within the Taliban erupted with Mullah Akhtar Mansour emerging as the leader. Insurgency grew with the Taliban briefly taking over Kunduz and Ghormach districts and threatening Ghazni. Mr. Ghani felt betrayed and lashed out, accusing Pakistan of “waging war”. A new initiative (Quadrilateral Coordination Group) involving the U.S., China, Pakistan and Afghanistan was launched in January 2016. After a couple of meetings, there was a roadmap; Pakistan was to use its influence to get the Taliban to the negotiating table. Hopes were dashed when the Taliban demanded exit of foreign troops, release of detainees from Guantanamo, and removal of its leaders from international blacklists. Frustrated with Pakistan’s inability to get Mullah Mansour to fall in line, the U.S. eliminated him in a drone strike in May 2016 in Balochistan. Maulvi Haibatullah was appointed as his successor. Meanwhile, there were signs that the Islamic Movement of Uzbekistan and the Tehrik-i-Taliban Pakistan were converging under the banner of the Islamic State (IS) in Afghanistan’s northern and eastern provinces. In December 2015, Russia publicly acknowledged that it had “communication channels with the Taliban for exchange of information” and “a shared interest with the Taliban to counter the threat posed by the IS”. Clearly, it was getting back into the game. Preliminary consultations were held in 2017, at which Afghan officials (and senior Indian diplomats) were present but the Taliban declined to share the table with the Afghan government. Mr. Ghani launched the Kabul Process for Peace and Security Cooperation, and in February, made an unconditional dialogue offer to the Taliban. The Taliban rejected his overture, declaring that they were ready to engage in direct talks only with the Americans. Mr. Ghani persisted, resulting in a three-day ceasefire during Eid. The U.S. softened its stand on an “Afghan-led and Afghan owned peace process”, and in July, senior State Department official Alice Wells was in Doha for a meeting with the Taliban. In September, the State Department announced the appointment of Zalmay Khalilzad (former U.S. Ambassador to Afghanistan) as Special Representative for Afghanistan Reconciliation. Mr. Khalilzad, a pushy go-getter, has since been making the rounds in Qatar, Saudi Arabia, the U.A.E., Pakistan and Afghanistan. Meanwhile, the situation continues to worsen. Today, the Afghan government controls barely half the country, with one-sixth under Taliban control and the rest contested. Most significant is the ongoing depletion in the Afghan security forces because of casualties, desertions and a growing reluctance to join. U.S. President Donald Trump’s South Asia policy announced last August aimed at breaking the military stalemate by expanding the U.S. and NATO presence, putting Pakistan on notice and strengthening Afghan capabilities has clearly failed, and this is why multiple processes are underway. Everyone agrees that the war has to end; the question for the U.S. is how to manage the optics of the exit while not conceding victory to the Taliban. Since July 2011, when the former President and Chair of the HPC, Burhanuddin Rabbani, visited Delhi, India has supported an ‘Afghan-led and Afghan-owned’ peace process. Last month, during Russian President Vladimir Putin’s India visit, both countries expressed their commitment to the Moscow Format. 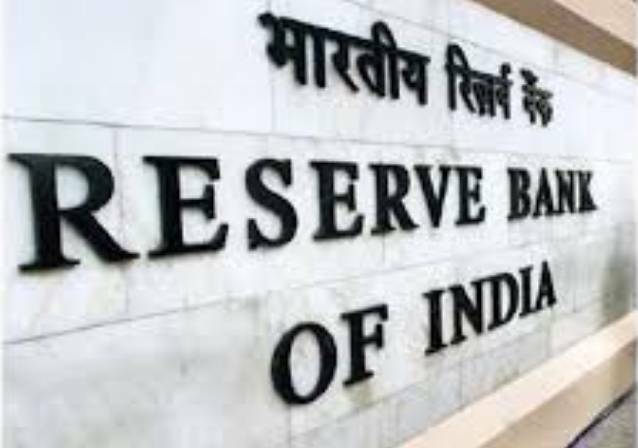 India doesn’t have the leverage to play spoiler but its presence is recognition that its economic cooperation programmes make it the most widely accepted development partner. Pragmatism dictates that India remain engaged with the multiple processes underway. 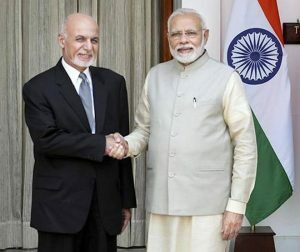 Peace remains elusive but India’s engagement demonstrates commitment to the idea of a stable, independent and peaceful Afghanistan. Meaning : move skilfully or carefully(v). Meaning : a detachable self-contained unit of a spacecraft. Meaning : a government, especially an authoritarian one(n). Meaning : capable of propelling something. Meaning : prod (someone) gently with one’s elbow in order to attract attention. Meaning : the restoration of friendly relations(n). Meaning : of or concerning diplomacy(adj). Meaning : stop oneself from doing something(v). Meaning : an active revolt or uprising(n). Meaning : a reddish-brown heavy-scented addictive drug prepared from the juice of the opium poppy, used illicitly as a narcotic and occasionally in medicine as an analgesic. Meaning : induce (someone) to do something through reasoning or argument. Meaning : a sudden powerful forward or upward movement, especially by a crowd or by a natural force such as the tide. Meaning : fighting between armed forces. Meaning : continuing for a long time or longer than usual; lengthy. Meaning : discussion aimed at reaching an agreement. Meaning : engage in competition to attain (a position of power)(v). Meaning : cause (a train or tram) to leave its tracks accidentally. Meaning : (of a volcano) become active and eject lava, ash, and gases. Meaning : expose (one’s country, a group, or a person) to danger by treacherously giving information to an enemy. Meaning : (of an expression, gesture, or tone of voice) indicating a belief in someone’s guilt or culpability(adj). Meaning : a person held in custody, especially for political reasons(n). Meaning : make a continuous low humming sound. Meaning : (of lines) tend to meet at a point. Meaning : continue in an opinion or course of action in spite of difficulty or opposition(V). Meaning : unwillingness or disinclination to do something. Meaning : a position counting as a draw, in which a player is not in check but cannot move except into check. Meaning : admit or agree that something is true after first denying or resisting it. Meaning : the exertion of force by means of a lever(n). Meaning : identification of a thing or person from previous encounters or knowledge. Meaning : difficult to find, catch, or achieve(adj). Meaning : used for emphasis(adj). Meaning : occupy or attract (someone’s interest or attention). Meaning : a principal administrative division of a country or empire. Meaning : an office or department for transacting particular business. Meaning : used to emphasize how small a number of people or things is. 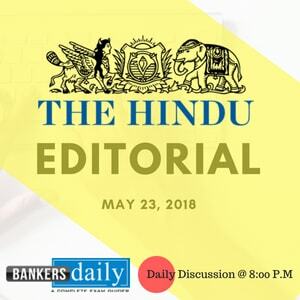 Aspirants can find the other important THE HINDU EDITORIAL topics from the link that is mentioned below, to score more in the English section, THE HINDU EDITORIAL is vital and considered as the best source to learn more. 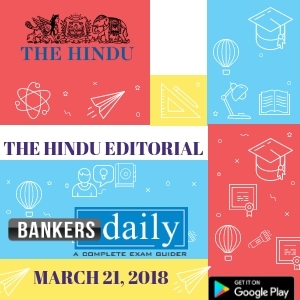 Learning THE HINDU EDITORIAL provides you with an added advantage for the aspirants as this assist in their bank exam preparations. 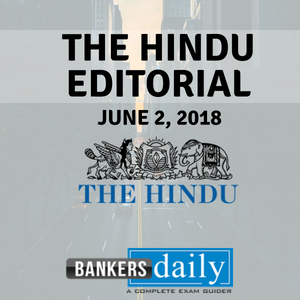 Check the other important THE HINDU EDITORIAL from the previous months that are available in our Bankersdaily website through the links that are mentioned below.